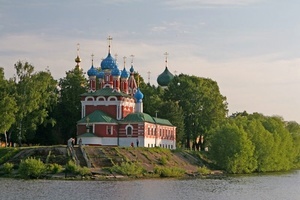 HOME » RIVER CRUISES » MOSCOW VOLGOGRAD ASTRAKHAN VOLGA RIVER CRUISES » Astrakhan - Moscow M/S "Nizhny Novgorod"
At the confluence of the Oka and the Volga Rivers, Nizhny Novgorod (formerly named Gorky), founded in 1221, is the 3rd largest city of Russia is located. 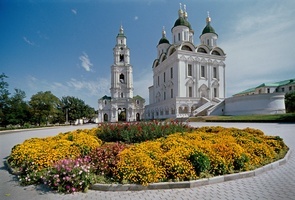 Although it dates back to the 13th century, the majority of its most interesting sights are from later periods. The first and foremost among these is the city’s great, brooding Kremlin, built during the 16th century. 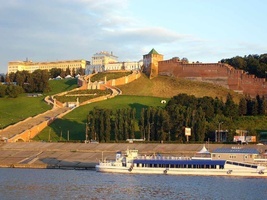 Today Nizhny Novgorod is a large river port, trade and cultural centre. Today, after breakfast our cruise comes to an end. We hope you enjoyed staying with us as much as we enjoy hosting you in our beautiful country.